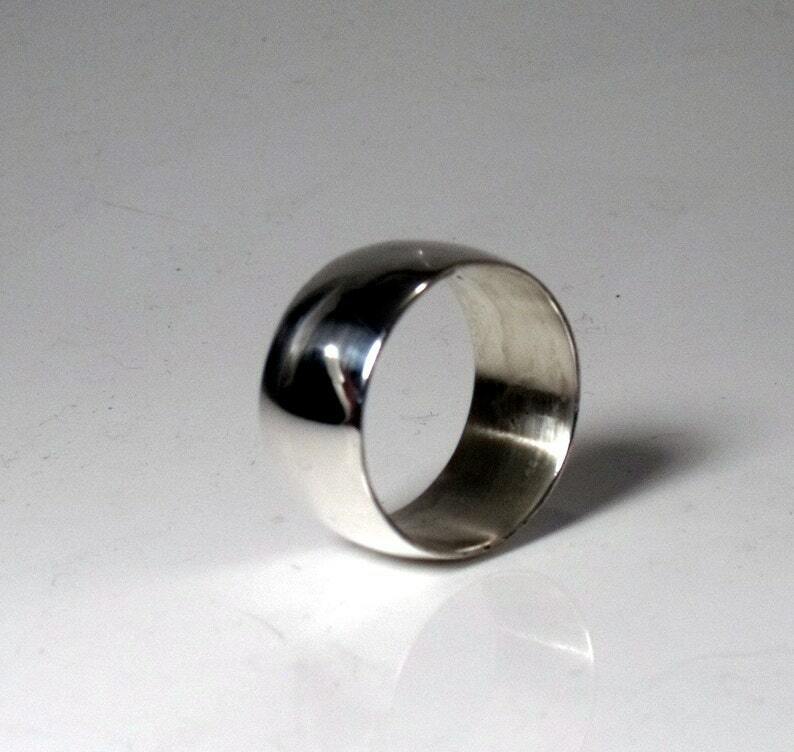 This is a hand crafted 8mm wide low profile Sterling Silver band. These make great wedding bands by there self or work well next to another ring. We hand make these in every width and will make this in your size. We can do this ring in other metals if you wish. Picture 5 is a brushed finish and picture 6 is a antique black finish. We can do these finishes on all the bands. I've purchased similar silver jewelry from online retailers before and let me tell you the difference in quality between the items I received from those retailers and the quality I saw in this item is night and day. This is a wonderful piece of jewelry and the care and craftsmanship are very aparent. This has been my favorite purchase I've made in quite a while. I have found my new favorite jeweler for all my future needs!